Do you have a skybender? - SolarChat! Do you have a skybender? 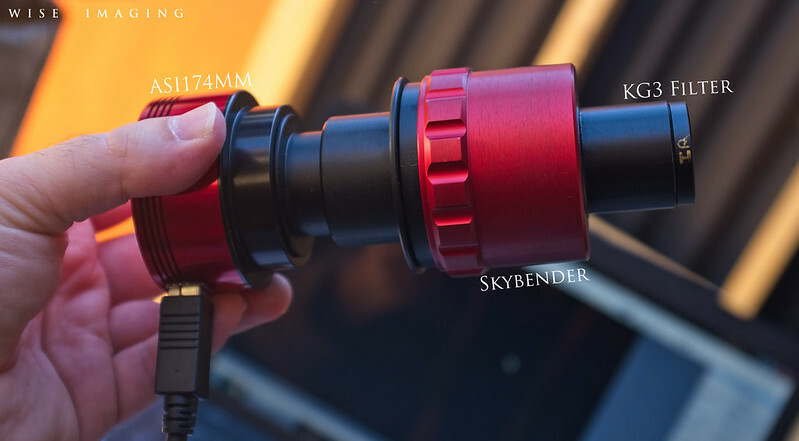 Re: Do you have a skybender? Sorry, didn't see this thread till just now. There were only a handful of units, maybe 20+ made. Apollo gave them to active imagers without cost with some filters to let them image with them and combine systems (such as to tune a calcium unit made from a PST Calcium etalon), and asked us to simply post the images and talk about the skybender in general (advertising basically, but not in a bad way or anything). I talked to several imagers at the time who use them here and there, most of them seemed to focus on calcium for the most part. I got my Skybender from Apollo right before he went dark and off-grid so to speak. I got a pair of unmarked 393nm filters, a 370~395 bandpass filter, and an IR absorption filter (KG1 I think, from newport). I also received a pair of 532nm filters, unmarked. I don't know the FWHM of them, most filters out there for sale that are inexpensive seem to be anywhere from 12~15nm +/-, so they're not that tight, but they do produce different results from full spectrum white light. I was told these were from Semrock, but apparently they're either not available anymore, or are from some where else. They're unfortunately unmarked, so I cannot track them down. I have since put a KG3 heat absorption filter on the nose of my skybender instead of the one I got (which I broke). I got it from Newport for around $50. 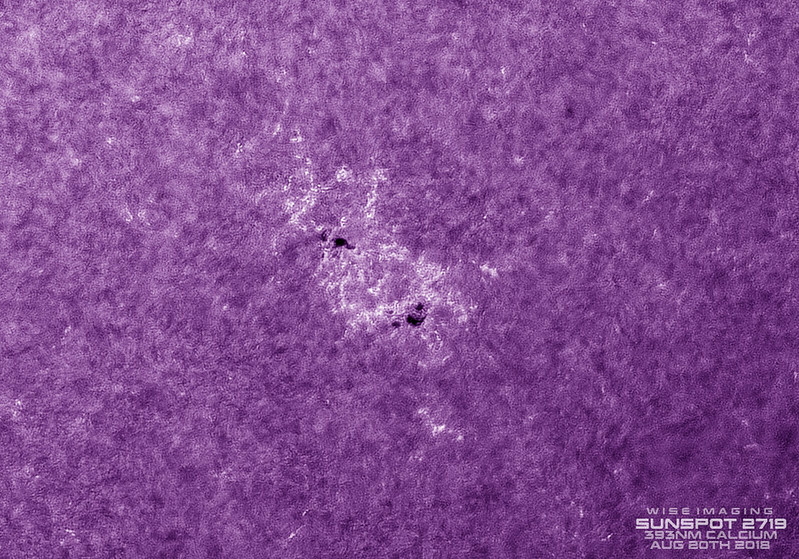 So far, it takes the heat from my 120mm aperture refractor pointed at the sun and hasn't broken, so it's doing a great job of managing heat in my imaging train. The skybender is strictly for imaging only, not safe for visual. Just to be clear for anyone looking into these things. It's purpose is purely for imaging with a high transmission. 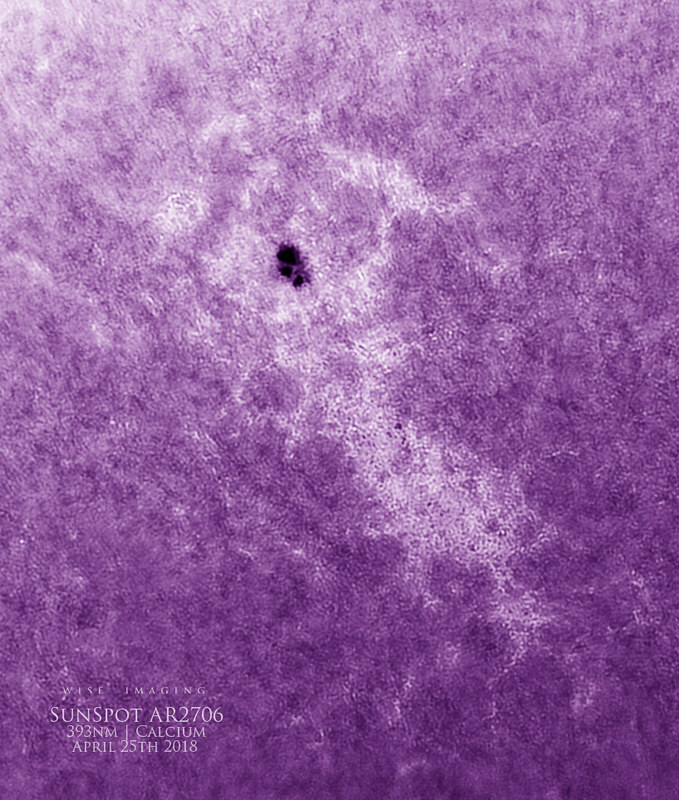 I primarily use my Skybender for calcium solar imaging, because I simply couldn't find an affordable entry into calcium. PST Ca units are long gone and coveted. Lunt systems are expensive and hard to find, impossible to get used. Quark Calcium units are expensive and impossible to get used. So I of course didn't pass on the opportunity to test out the Skybender as an alternative. It turned out it worked well enough, not to the same standard as the output from the Lunt/Quark/PSTCa etalon systems, but at least well enough to be significantly different from full spectrum white light. Two 393nm 1.25" filters stacked on the nose of the camera. One 370~395nm 1.25" filter inside the skybender in the tilting chamber. One KG3 IR 1.25" absorption filter (managing heat) on the nose of the skybender unit. Here are two ways I image with it, both on a short refractor (80mm aperture), and a long refractor (120mm aperture) for high res. Reminder note, there is no front filter on the scope, it is not needed. The KG3 filter manages the heat, even on my 120mm aperture. I've been advised that there should be another way to manage heat and that the filter will break from the heat, but so far, this has not happened and I image with it a lot. So just again a reminder for anyone with these. 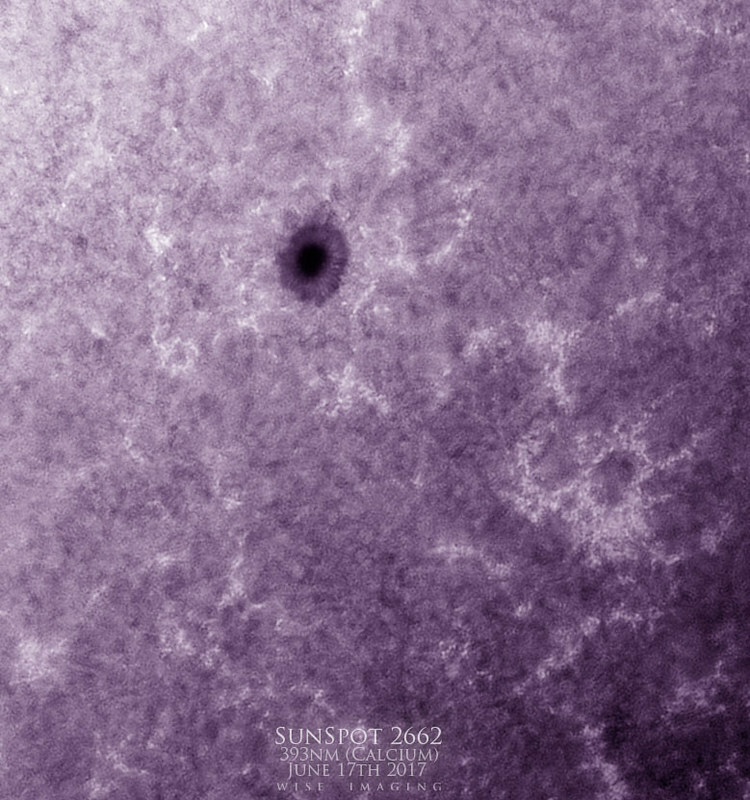 Here's directly inserted into an 80mm F7.5 refractor with no specific ERF and no UV/IR cut filter (it would kill the point since I'm imaging at 393nm). 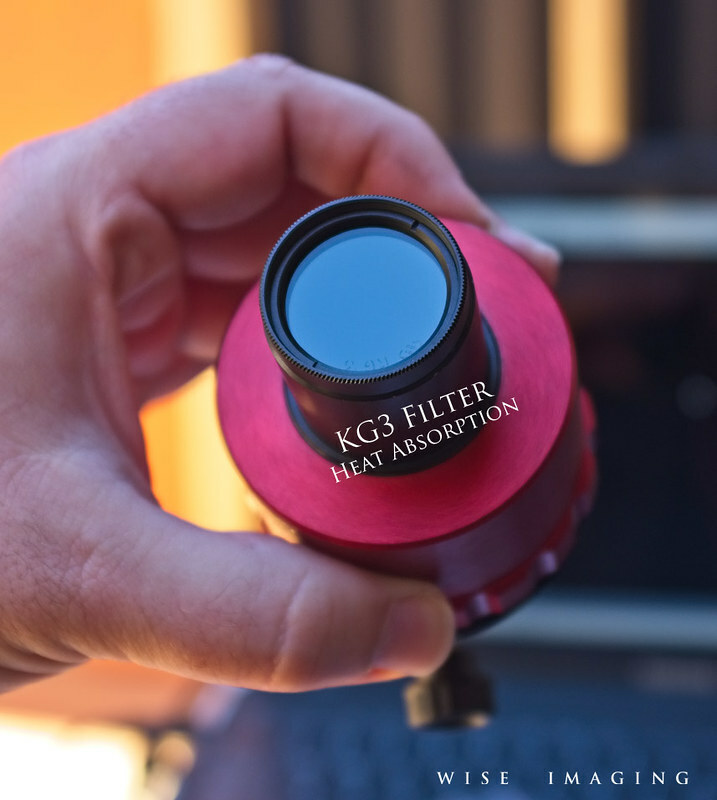 Again the KG3 filter manages the heat. I do full disc imaging with this setup. 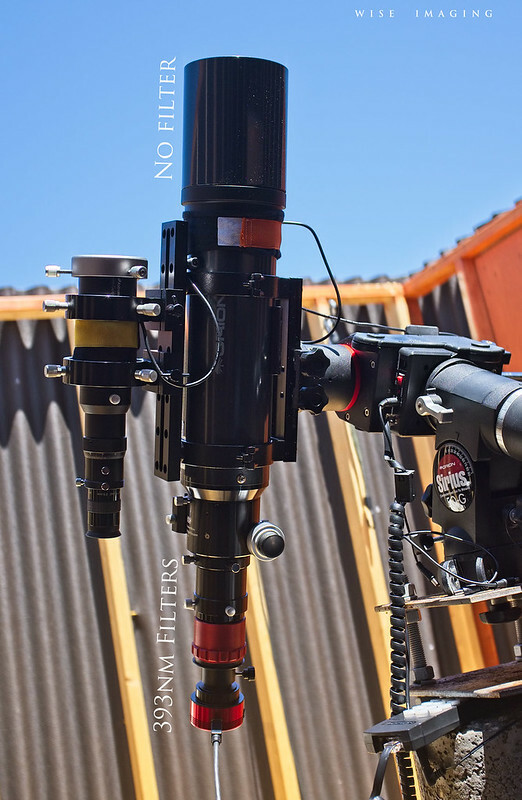 Here's the skybender with a 3x barlow being used, for high resolution imaging: The barlow simply inserts between the tilt chamber and the camera. The filters are still on the nose of the camera. I was told you can also put the barlow in front of the sky bender, but I do it this way to keep the KG3 and heat all on one side away from everything else. 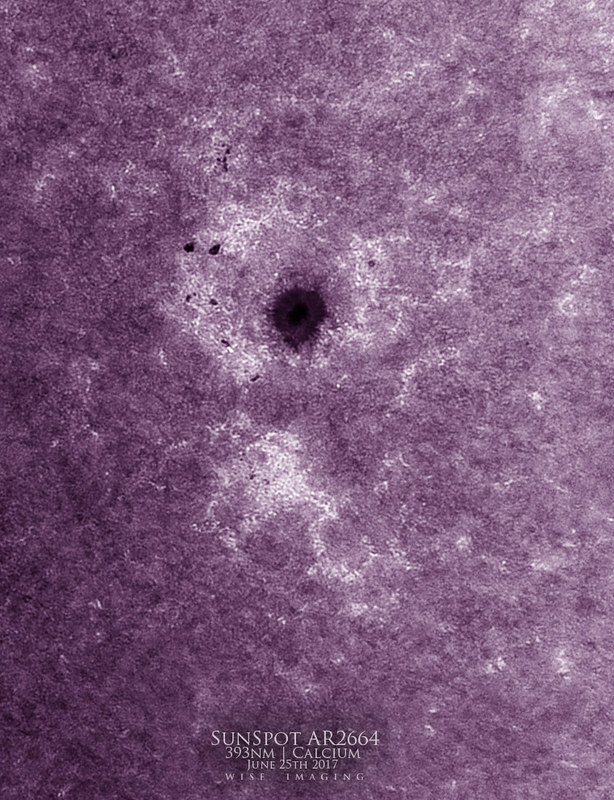 When the seeing is great, I seem to be getting convection cells from the photosphere, but at least I can get more contrast to show the faculae as this is not truly calcium wavelength. I have not used the 532nm filters yet. 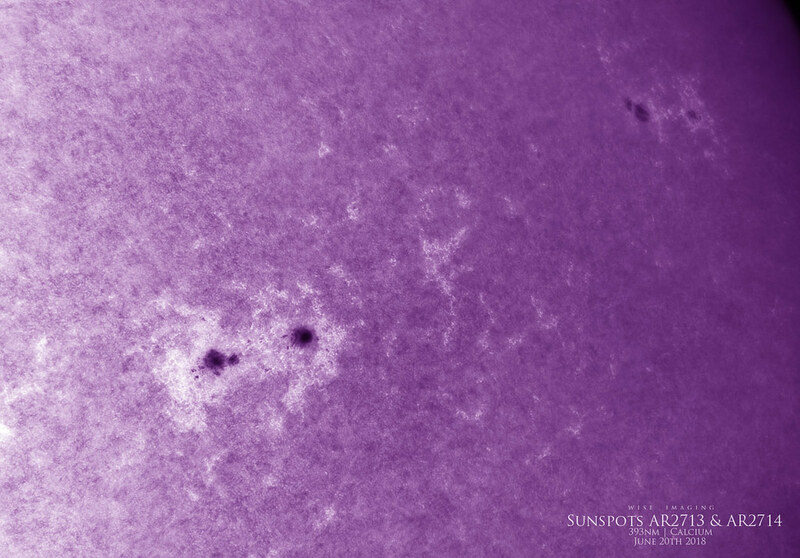 With minimal sunspots, I have little to use them on. 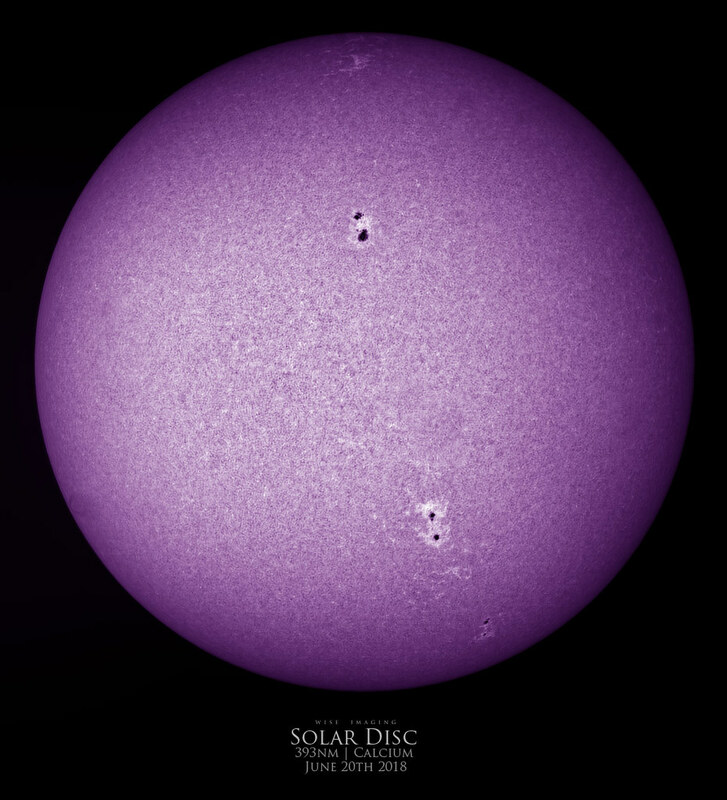 I typically do my white light with a standard baader solar film and a 540nm continuum filter. 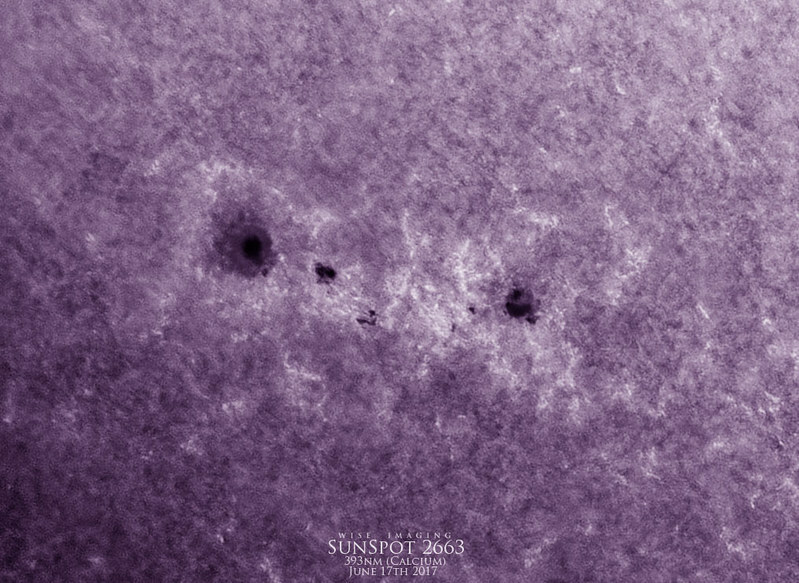 Next time a decent sized sunspot shows up, I will put the 532nm filters in the skybender and test it more. 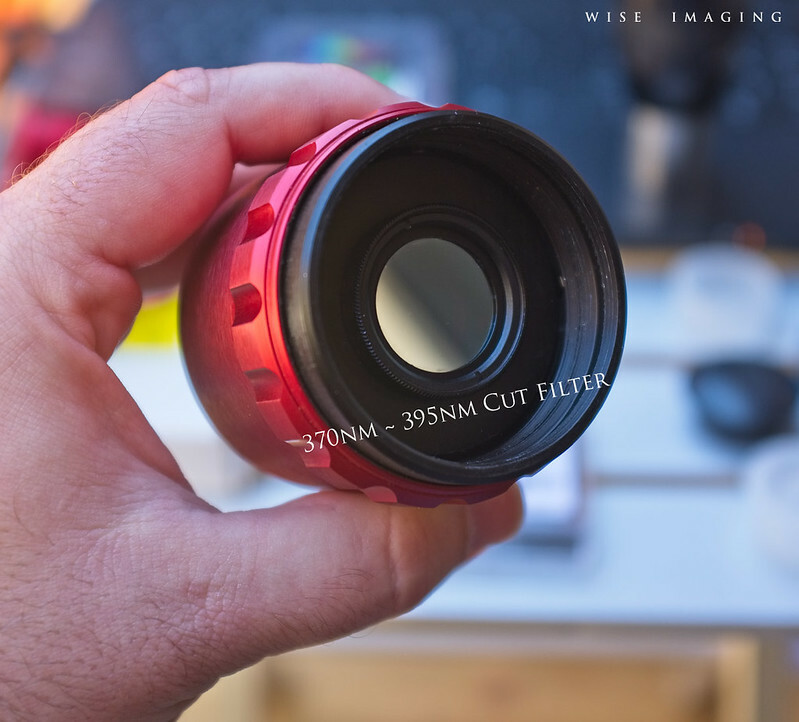 I was told to put 1x 532nm filter on the camera nose. 1x 532nm filter in the tilt chamber of the skybender. And then put a green filter or 540nm filter on the nose of the skybender behind the KG3 filter. Yea, no clue what that is. Not a cut filter, just looking at its natural eye transmission. I'd be surprised if it's really an ERF though, unless it's just an IR cut or IR absorption, then it would make more sense. Apollo used IR cut/absorb for heat management on all of them to my knowledge, and not specific bandpass ERFs. Yea, depends on what is in the skybender that is being tilted for tuning. I would guess the filter in the CaK setup with the skybender is probably a Baader CaK line filter or something to that effect? I'm sure many have looked into IR absorption elements for various bits, but it's probably not ideal in multiple ways, such as expansion and other effects. But, you can always put one in front of anything in your imaging train to absorb heat. I have mine in a generic 1.25" threaded cell. I can put it in front of anything practically. Care to share where you're reliably getting PST CaK etalons? Which is like never it seems! So my Skybender is back up and running in 393nm. New configuration is a Baader 2" B-CCD Blue Filter (reflective & IR blocked) Thanks Paul & Apollo! on the nose of a 50mm extension that inserts into the focuser deep into the light cone. I'm using a 370~395nm cut filter on the nose of the skybender to further block down the light. A 393nm filter inside the Skybender itself, shifted for more contrast. And finally a 393nm filter on the nose of the camera itself (with and without a barlow as needed for scale and resolution). 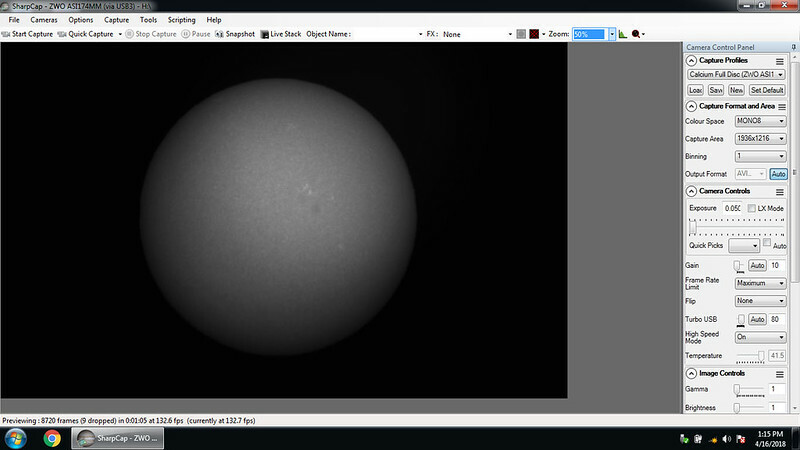 I'm not using a KG filter at all anymore, and this is managing the heat very well even at 120mm aperture. Very happy with the new setup, being inexpensive and still functional. I'm considering trying another configuration to simplify things and allow for more in-focus ability. The internal tilting cell in the skybender can have a filter threaded in from both sides. I'm thinking of getting two 2" to 1.25" cell adapters to mount my 1.25" 393nm & 1.25" 370~395nm filters and put the 2" Baader blue filter (ERF) on the nose of the skybender, then put the 370~395nm cut filter on the nose-side (semi-permanent) of the tilt cell, and a 393nm filter on the camera side of the same tilt cell. Then the final 393nm filter goes on the nose of the camera. Tilting still works. And the ERF is in place, and the cut filter behind it. Should work in theory. It would allow the ERF to go into the focuser fairly deep into the light cone. And this would allow as much in-focus travel as possible. I'm finding that with my 50mm extension (I use this to get the ERF deeper into the focuser), that I lose the in-focus travel and can't come to prime focus with my 1.25" skybender unit and my ASI174MM on most of my scopes (I can come to focus on my ED80) for full disc FOV. My 120mm F8.3 and my ST80 (80mm F5) don't have enough in-focus travel to use the 50mm extension and get prime focus with just the Skybender. I was able to with the the ED80 again, but I'd rather not use that scope. So I just bought a 35mm 2" extension to shave off 15 more mm and hopefully that will be enough. If that works, I'll be able to easily full-disc image in 393nm with the ST80 (masked to 60mm) with just the skybender and the 35mm extension tube to act as the ERF cell holder deeper in the focuser. If not, I'll pursue the idea above that removes the extension completely and houses all the filters in the larger 2" skybender unit. I'm also wondering what other filters to potentially try. 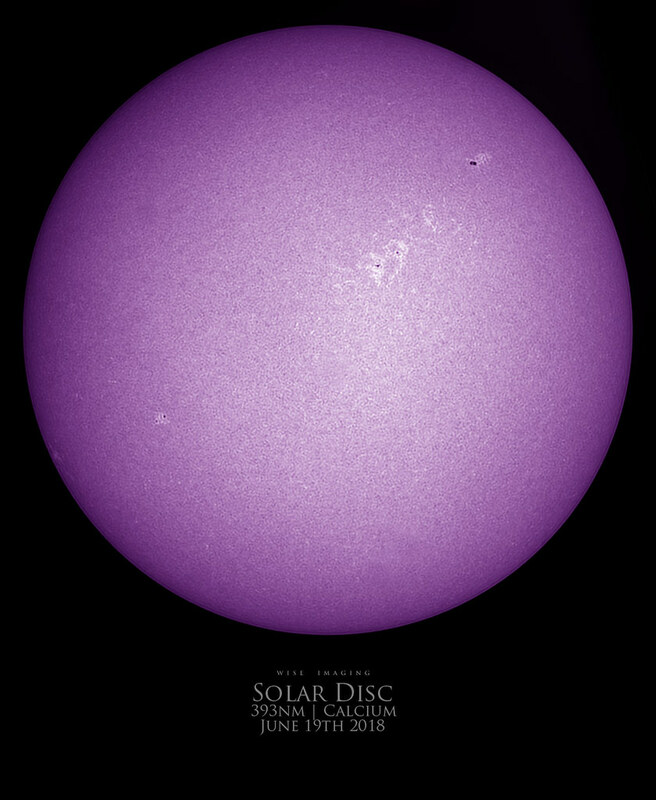 I currently have a set of 393nm filters and a 370~395nm filter to complete the Calcium set. I also have a pair of 532nm filters (green) that Apollo sent too. 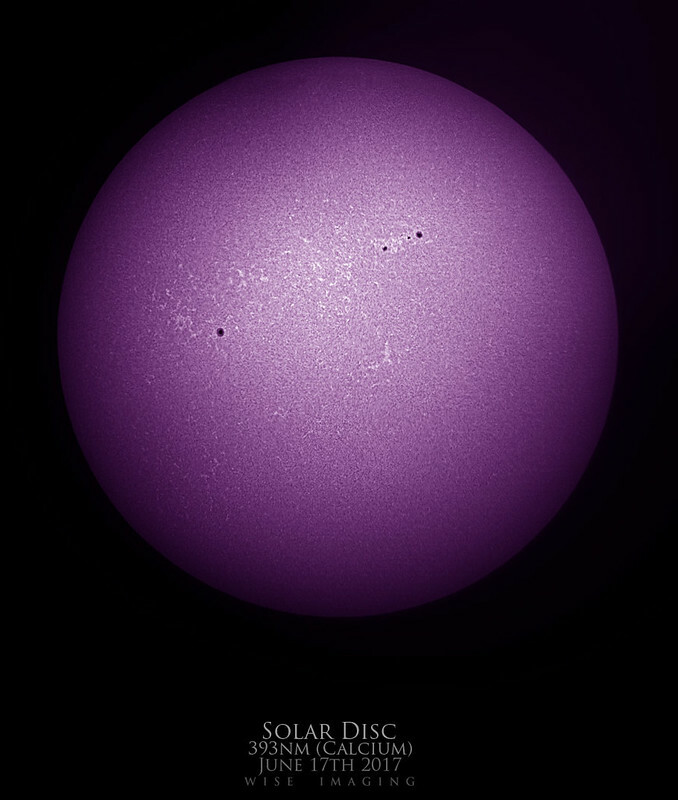 I have my 540nm solar continuum filter that could serve as the cut filter there. I would just need an appropriate ERF, maybe the Baader Green G-CCD filter if I can find it on sale without having to buy the kit? The green version of the blue filter basically. Granted, this is just basically a white light filter focusing towards green, which I already do with a baader solar film + solar continuum filter setup and that works fine. 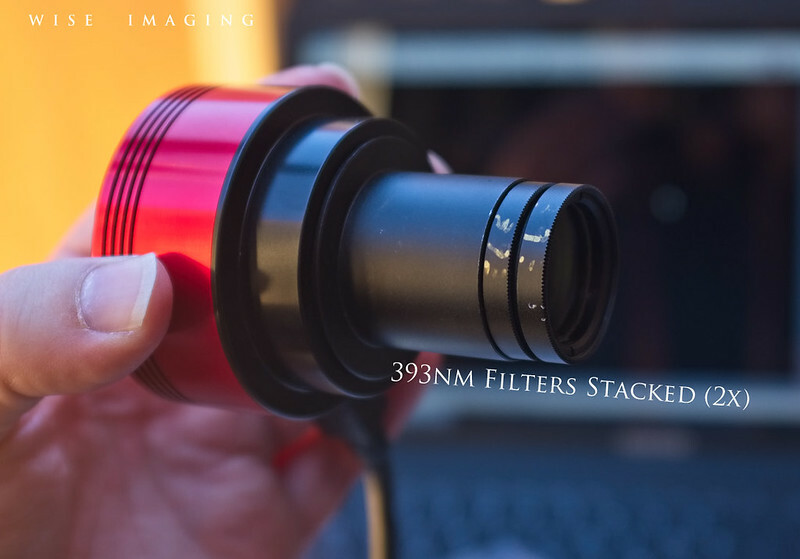 Was just curious to see if the 532nm filters with the 540nm filter and some kind of ERF would be better with more contrast and definitions of features. Maybe something to fiddle with that is similar to the Baader Solar Film + Solar Continuum, or between it and something like the Quark Magnesium, etc, all of which just look like different green white light filters in terms of what features can actually been seen ( at least at these not-so-narrow bandpasses). None of these are as tight as what is found with a Quark Calcium/Magnesium, or the Lunt Calcium units, but they're interesting at a fraction of the cost, and different from straight white light. I'm guessing the 540nm or 532nm will be ideal for convection cells, at high resolution. Instead of a 2” extension, with the associated back focus issues. I’m using a series of 48mm filter spacers, about 70mm long. These then position the Baader CCD filter well inside the focuser and allow plenty of room. For the SkyBender etc. I did the 370~395nm filter in the tilt chamber for a while. And I stacked both 393nm together on the nose of the camera. This was Apollo's recommendation. KG3 IR absorption filter on the nose of the `bender. I used it that way for a long time, since that's how he suggested to do it. I've imaged with it a lot and with this current configuration, it's the visually returning the same data. I've processed gigs and gigs of data at this point and the results are repeatable no matter how I configure it as long as the heat is managed. Currently the new setup with the blue filter as an ERF is much better at dealing with the thermal issues than the KG3 approach. So that's a nice relief. I've cracked two KG3's now, so I'm definitely glad to be done with busting filters. I don't have issues with reflections with respect to the visual (from camera) and resulting images. I have some dust of course, but my flat calibration takes care of it nicely. 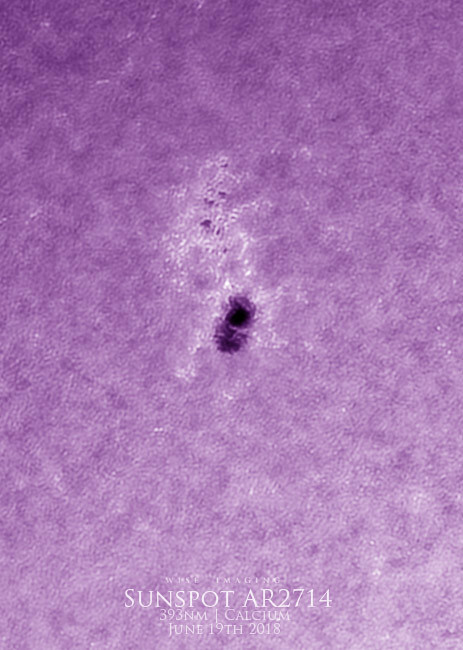 Used the Skybender this morning with some wonderful sunspots to hone in on. Used the same setup as yesterday, Baader Blue B-CCD Filter as ERF -> 50mm extension -> 370~395nm Cut filter on nose of skybender -> 393nm in chamber, tilted for contrast -> 393nm filter on nose of camera (with or without barlow) -> ASI174MM camera. 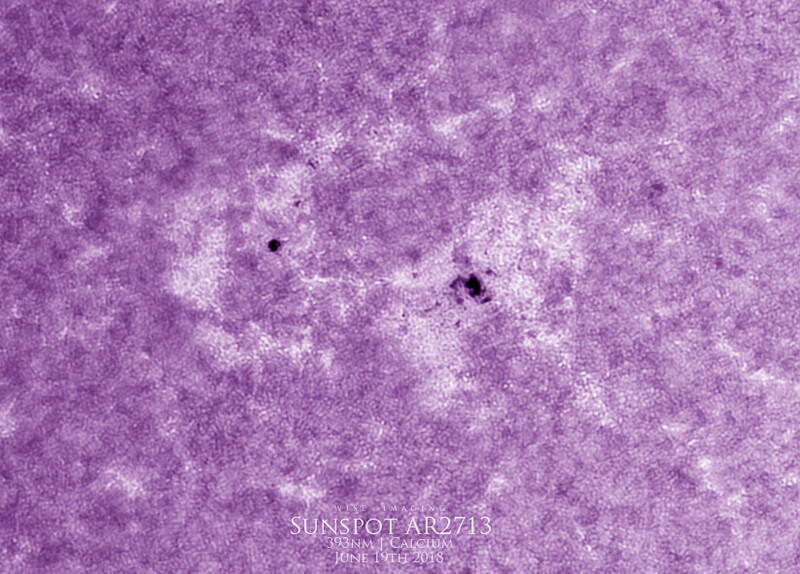 Used the Skybender today to try some 393nm imaging of our new sunspot 2719 with comparisons in several wavelengths. Three wavelength comparison, skybender used for the 393nm. 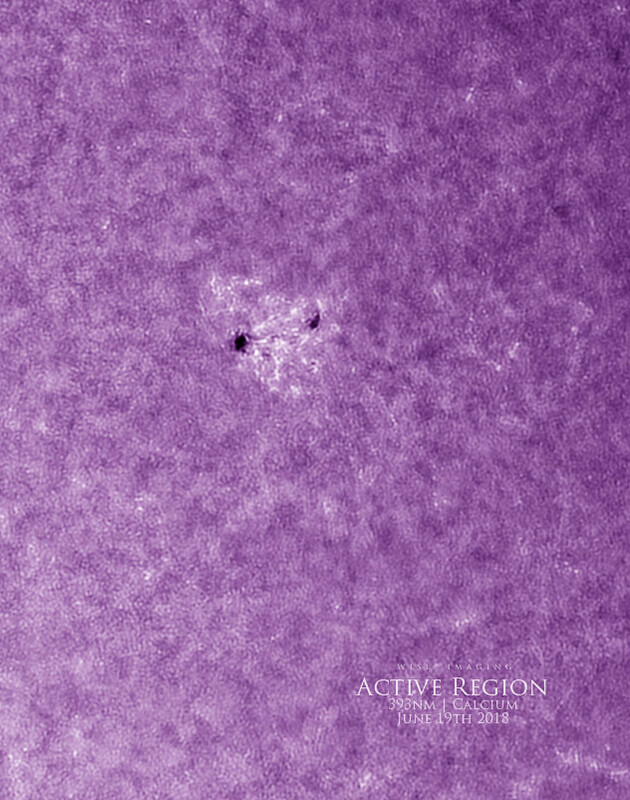 I think it's fairly tighter bandpass than just loose white light, because I was able to, in good seeing, capture convection cells and AR2719 with the 370~395nm filter, then I just added the two 393nm filters and was able to image the same AR2719 and the convection cells are gone, focus is achieved, seeing is good, and there are smears that seem to resemble spicules from the chromosphere, mixing with the convection cells, so I'm not quite on calcium, but I'm close enough to nearly represent it at least as this is clearly not just white light as the convection cells are literally gone at the same scale.